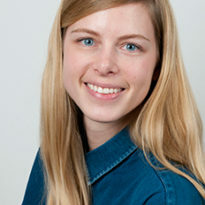 Elisabeth Isaksen is a Research Officer at the Grantham Research Institute on Climate Change and the Environment. She joined the institute in September 2017. Her research focuses on the roles of formal and informal institutions in mitigating environmental problems. In particular, she uses econometric techniques to identify causal effects of environmental, resource and climate policies, with attention to both efficiency and equity aspects. Elisabeth has a PhD in Economics from the University of Oslo, titled “Empirical essays on policies and cooperation to mitigate environmental problems (2017)”. Prior to pursuing her PhD she worked for four years at Statistics Norway, both as a statistician and as a researcher, on topics related to energy use, emissions and climate policies. She has also been a lecturer in undergraduate courses in microeconomics and welfare economics at the University of Oslo during her doctoral studies. She holds a MSc in Economics from the Norwegian School of Economics. Efficiency and equity impacts of environmental and climate policies.